For the first 4 in this series, check out: 1 & 2 & 3 & 4. This is one of those things that I don’t really think about all that much. But if I had to choose it wouldn’t be just one comic book, but a comic series. Legion of the Superheroes reminds me of my Dad. It was his favorite comic growing up. 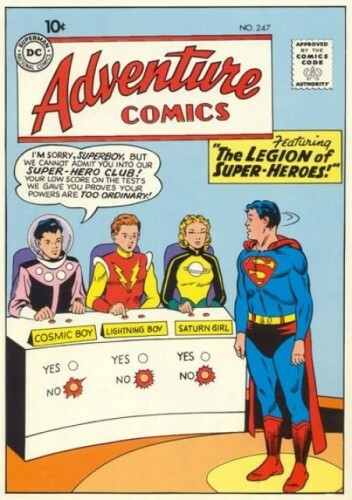 On more than one trip down to visit my grandparents in south Georgia he would tell me about this group of teenaged heroes from the far future who fought various villains… who were inspired by Superman himself and often hung out with Superboy. 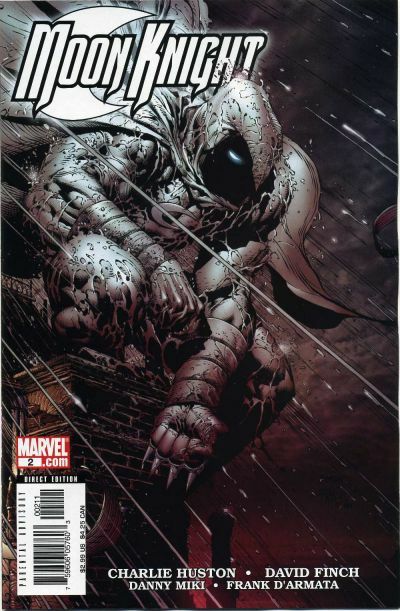 At the time I was just beginning to discover comic books and Marvel was more to my taste, but to hear the various crazy characters and just how he talked about those old stories… well, when DC rebooted them in the early 90s, I jumped on the chance to start reading them, fresh and free from any continuity. And they were great. Obviously this version was slightly different than the one my Dad read, but it was still the same core of great characters. And it became one of my favorites (right up until they rebooted it again… which we won’t get into). It’s nice when things come around full circle. For years I might have answered this with Hawkeye and prior to the movies you would have scratched your head (or maybe said “The Bow and Arrow guy”). But now that does seem right. So I go with my back-up character. Moon Knight is legitimately crazy. He’s got a whole mess of personalities living in his head (a play off the phases of the moon). Sometimes the line between an “undercover” identity and a new personality gets blurred for him. Oh yeah and he talks to an ancient Egyptian god: Khonshu who may or may not talk back to him. Yes, I realize that Batman the Animated Series exists. And I realize that Batman Beyond exists. And I personally loved Spider-Man and His Amazing Friends. But Young Justice just clicked for me in a way that I can’t explain. I’m not sure if it was because I dislike Teen Titans Go so much (sooo much – which is fine, it is not made for me anyway). 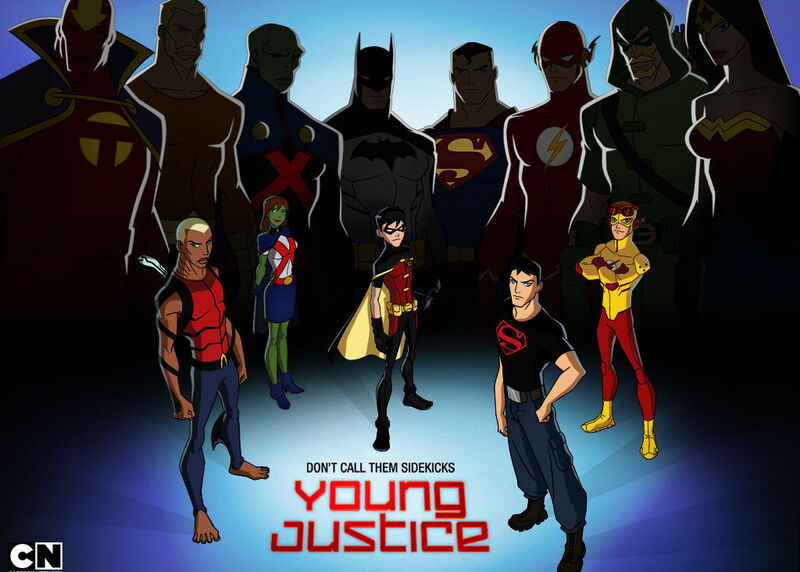 Young Justice focused on the “side-kicks” while still having members of the JLA show up. They actually had to train… and we saw it. The various members of the cast had about as equal time as you could get given any ensemble. And they had a multi-season story-line while still being able to tell these amazing small stories. I loved everything about this show. I have to admit, I came to the 90s version of Valiant a little late. By the time I hopped onboard they were nearing their height, print runs were getting out of control and those low print runs of the earliest issues made it impossible for me to go back and grab the issues I was missing. So I started with X-O Manowar and Turok, Dinosaur Hunter, but I think I really liked the idea behind a 3rd Superhero Universe more than trying to get into a 3rd universe. 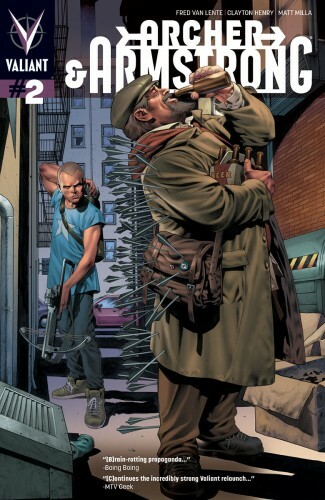 I assumed that this comic would be the one that I’d drop first, having no connection with the characters from back in the day… and yet, somehow, someway, it became my favorite of the new Valiant books. Tagged challenge, Comics, John McGuire.